Great weather to be working in the yard and having cookouts. 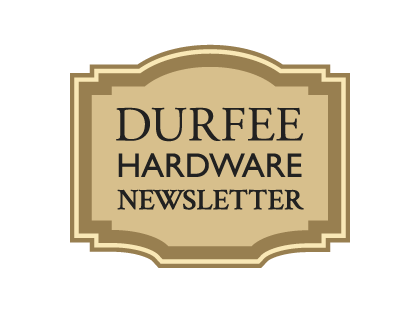 We have all the stuff you’ll need at Durfee’s. I just came back from my vacation with the family. When I was a kid, and my siblings and I were not old enough to actually run the store without my father, my family got one week of vacation. In those days, if the store was open, my Dad was there; we were only closed on Wednesdays and Sundays. Every year the store would close for one week in July for our family vacation. I can remember using stencils and cardboard to make a sign saying when we’d be closed. We’d set it up and then spray paint it and post them in the store. That way my Dad could get a week off. That changed when us kids got older and could run the place while he was away. He and my mom would take longer vacations. Ray was an interesting guy; when he returned from vacation people would ask how his vacation was and he always would say “its great to be back”. I think he enjoyed working at the store more than vacation sometimes. Anyway, as you know we are open 7 days a week and we don’t shut down for vacation. There is pretty much always a Durfee “on duty”. As I mentioned, I was on vacation so I didn’t do too much this month. More staining, more painting; I got some glue and new screwdrivers so that I could properly repair some wooden chairs that were falling apart. I had my septic system pumped so I bought some treatment to put in there. I also bought the usual paper towels and toilet paper, considering I’ll need paper goods for the picnics soon to come.